Before a pavement is placed the surface to be paved must be prepared. 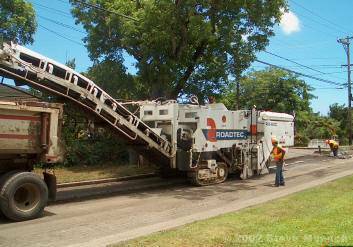 Pavements constructed without adequate surface preparation may not meet smoothness specifications, may not bond to the existing pavement (in the case of overlays) or may fail because of inadequate subgrade support. Preparing the subgrade and granular base course for new pavement. This can involve such activities as subgrade stabilization, over-excavation of poor subgrade, applying a prime coat or compacting the subgrade. 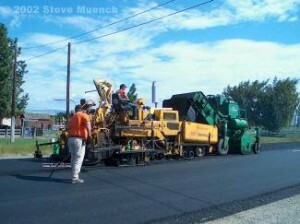 Preparing an existing pavement surface for overlay. This can involved such activities as replacing localized areas of extreme damage, applying a leveling course, milling (Figure 1 and 2), applying a tack coat, rubblizing or cracking and seating. 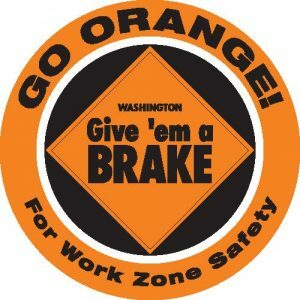 It is typical for paving contractors to ask for release from complications caused by poor subgrade preparation. It is in everyone's best interest to correct subgrade deficiencies, pre-plan for ATB use, and/or stabilize the subgrade using lime, cement, or emulsified asphalt. Anything that can be done to increase the load-bearing capacity of the subgrade soil will most likely improve pavement load-bearing capacity and thus, pavement strength and performance. Additionally, greater subgrade structural capacity can result in thinner (but not excessively thin) and more economical pavement structures. Finally, the finished subgrade should meet elevations, grades and slopes specified in the contract plans. Compaction. Subgrade should be compacted to adequate density before pavement placement. If it is not, the subgrade will continue to compress, deform or erode after construction, causing pavement cracks and deformation. Generally, adequate density is specified as a relative density for the top 6 inches of subgrade of not less than 95 percent of the laboratory density determined by ASTM D 698 or D 1557. In fill areas, subgrade below the top 6 inches is often considered adequate if it is compacted to 90 percent relative density. Stabilization. 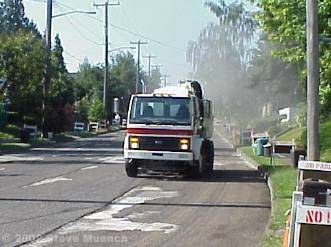 Lime, cement or emulsified asphalt can be mixed in with the subgrade soil to increase its strength and stiffness. Construction geotextiles can be used to help stabilize roadways with early signs of subgrade failure. Over-excavation. Poor in situ subgrade can be replaced with better load-bearing fill. Typically, 1 – 2 ft. of poor soil may be excavated and replaced with gravel borrow. Add a subbase course over the subgrade. A subbase course offers additional load-bearing capacity. Subbase courses are subjected to the same compaction and elevation requirements as subgrade soils. After final grading (often called fine-grading), the subgrade elevation should generally conform closely to construction plan subgrade elevation. Large elevation discrepancies should not be compensated for by varying pavement or base thickness because (1) HMA, and aggregate are more expensive than subgrade and (2) HMA compacts differentially – thicker areas compact more than thinner areas, which will result in the subgrade elevation discrepancies affecting final pavement smoothness. Fill the surface voids and protect the subbase from weather. Stabilize the fines and preserve the subbase material. 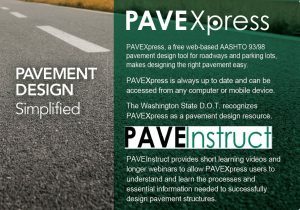 Promote bonding to the subsequent pavement layers. Prime coats are not a common construction practice in Washington State and are generally not required in a crushed aggregate/flexible pavement structure. Prime coats are appropriate for use as a wearing and weatherproof surface on roadbeds that have been graded but cannot be paved right away. Typically, only Eastern Washington has the predictable hot, dry weather necessary to ensure proper prime coat curing. Ensure the compacted subgrade is able to support construction traffic. If the subgrade ruts excessively under construction traffic it should be repaired before being paved over. Left unrepaired, subgrade ruts may reflectively cause premature pavement rutting and will result in variable paving thicknesses as the HMA fills the wheel ruts and is displaced by the rut ridges. The result can be a pavement with areas that are too thin (over the rut ridges) and too thick (over the rut depressions) instead of a uniform depth. Remove all debris, large rocks, vegetation and topsoil from the area to be paved. These items either do not compact well or cause non-uniform compaction and mat thickness. Treat the subgrade under the area to be paved with an approved herbicide. This will prevent or at least retard future vegetation growth, which could affect subgrade support or lead directly to pavement failure. In summary, subgrade preparation should result in a material (1) capable of supporting loads without excessive deformation and (2) graded to specified elevations and slopes. Overlays make up a large portion of the roadway paving done today. The degree of surface preparation for an overlay is dependent on the condition and type of the existing pavement. 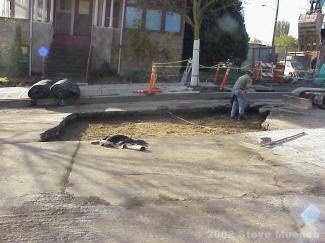 Generally, the existing pavement should be structurally sound, level, clean and capable of bonding to the overlay. 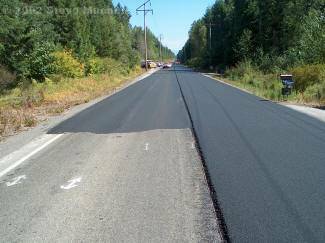 To meet these prerequisites, the existing pavement is usually repaired, leveled, cleaned and then coated with a binding agent. To maximize an overlay’s useful life, failed sections of the existing pavements should be patched or replaced and existing pavement cracks should be filled. If an existing pavement is cracked or provides inadequate structural support these defects will often reflect through even the best-constructed overlay and cause premature pavement failure in the form of cracks and deformations. Small areas of localized structural failure in the existing pavement should be repaired or replaced to provide this structural support (Figures 3 and 4). 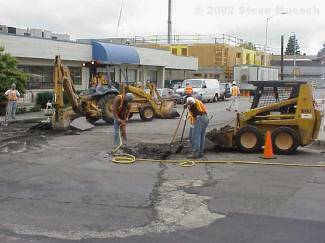 If the existing pavement contains areas of inadequate subgrade support, these areas should be removed and the subgrade should be prepared as it would be for a new pavement. Existing pavement crack repair methods depend upon the type and severity of cracks. Badly cracked pavement sections, especially those with pattern cracking (e.g., fatigue cracking) must be patched or replaced because these distresses are often symptoms of more extensive pavement or subgrade structural failure (TRB 2000). Existing cracks other than those symptomatic of structural failure should be cleaned out (blown out with pressurized air and/or swept) and filled with a crack-sealing material when the cracks are clean and dry (TRB 2000). Cracks less than about 0.375 inches in width may be too narrow for crack-sealing material to enter. These narrow cracks can be widened with a mechanical router before sealing. If the existing pavement has an excessive amount of fine cracks but is still structurally adequate, it may be more economical to apply a general bituminous surface treatment (BST) or slurry seal instead of filling each individual crack. 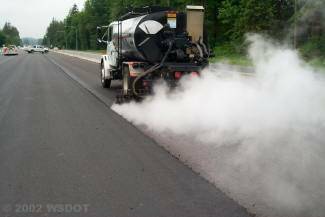 A tack coat is a thin bituminous liquid asphalt, emulsion or cutback layer applied between HMA pavement lifts to promote bonding (Figures 5 and 6). Adequate bonding between construction lifts and especially between the existing road surface and an overlay is critical in order for the completed pavement structure to behave as a single unit and provide adequate strength. If adjacent layers do not bond to one another they essentially behave as multiple independent thin layers – none of which are designed to accommodate the anticipated traffic-imposed bending stresses. Inadequate bonding between layers can result in delamination (debonding) followed by longitudinal wheel path cracking, fatigue cracking, potholes, and other distresses such as rutting that greatly reduce pavement life (TxDOT 2001). Applying a leveling course ( Figures 7 and 8 ). The first lift applied to the existing pavement is used to fill in ruts and make up elevation differences. The top of this lift, which is relatively smooth, is used as the base for the wearing course. Leveling course lifts need to be as thick as the deepest low spot but not so thick that they are difficult to compact. Because it is not the final wearing course, leveling course elevation and grade are sometimes not tightly specified or controlled. However, contractors and inspectors alike should pay close attention to leveling course thickness because an excessively thick leveling course can lead to large overruns in HMA and thus large overruns in project budget. Provides RAP for recycling operations. 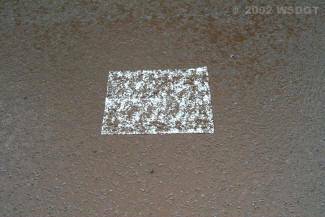 Efficiently removes deteriorated pavement that is unsuitable for retention in the overlaid pavement. Provides a highly skid resistant surface suitable for temporary use by traffic until the final surface can be placed. Allows curb and gutter lines to be maintained or reestablished before HMA overlays. Provides an efficient removal technique for material near overhead structures in order to maintain clearances for bridge structures, traffic signals and overhead utilities. (although narrower and wider drums are available) Drums come in specific widths. Varying widths can be made with multiple passes. Cut Depth up to 10 inches per pass It may be easier to make several shallow passes than one deep pass. 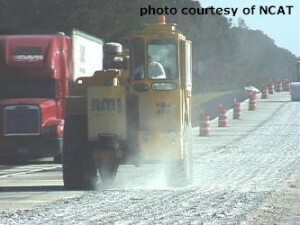 for large machines Depends on machine and pavement conditions. Placing a flexible overlay on a jointed rigid pavement involves some special considerations. Rigid pavement in Washington State is placed in discrete slabs, which tend to crack into discrete sections that move as individual units. Although HMA overlays can accommodate small differential subgrade movement without cracking, the large differential movement at slab and crack interfaces is great enough to crack an HMA overlay (called reflection cracking, one type of which is joint reflection cracking). Prevent the slabs or sections from moving by stabilizing the material beneath them. This involves drilling holes in an unstable PCC slab or section and injecting an asphaltic or cementitious material to fill any underlying voids. Typically, this method is only an option for isolated instances of instability. It does not work well as a general roadway treatment. Make the overlay structure strong enough to resist cracking. This usually involves extra granular base layers between the flexible overlay and the existing rigid pavement or extremely thick flexible layers, both of which are often not cost effective. Even if these types of preventative measures are used, they still cannot be guaranteed to prevent reflective cracking. Crack/break and seat the underlying rigid pavement. This involves breaking the underlying rigid pavement into relatively small pieces (on the order of about 1 ft2 to 2 ft2) by repeatedly dropping a large weight. The pieces are then seated by 2 to 3 passes of a large rubber tired roller. Resonant pavement breaker (Figure 8). This equipment strikes the rigid pavement at low amplitude with a small plate at the resonant frequency of the slab (usually about 44 Hz) causing the slab to break apart (Roberts et al., 1996). Usually it takes about 14 to 18 passes for a resonant pavement breaker to rubblize an entire 12 ft. lane (NCAT, 2001). Multi-head breaker (MHB) (Figure 9). This equipment uses a series of independently controlled high amplitude drop hammers to smash the slab. Typically, there are between 12 and 16 hammers, each weighing between 450 – 680 kg (1000 – 1500 lbs.). Hammers can be dropped from variable heights (1 – 5 ft.) and cycle at a rate of 30 – 35 impacts per minute. 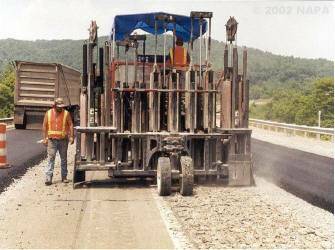 MHBs can rubblize an entire lane (up to 13 ft.) in a single pass (Antigo Construction, 2001).